Carriage bolts (round head with square neck) are commonly used in wood connections. The square neck under the round head will seat into the hole in the wood to prevent the head from turning. 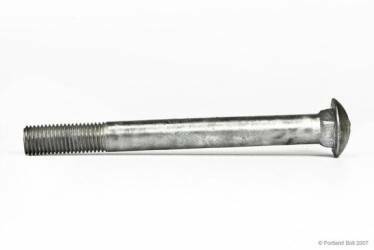 Because they are used with wood, carriage bolts are rarely high strength and virtually always supplied in a standard ASTM A307 specification. 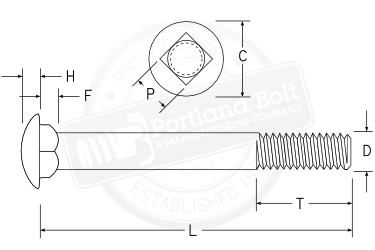 Portland Bolt manufactures carriage bolts from 1/2″ diameter through 1-1/4″ diameter in most ASTM, AASHTO, and SAE specifications. Special tooling can be created to produce nonstandard head dimensions, carriage bolts larger than 1″ in diameter, or bolt heads with your company’s name and/or logo. Note: Most stock carriage bolts have extended thread length. *Dimensions per ASME B18.5 1990 (R 1998) cover diameters up to 1". Bolts over 1" use custom head dimensions. 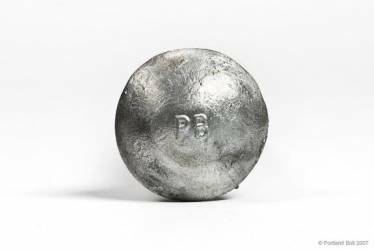 These sizes are readily available in the marketplace and Portland Bolt stocks many of them in varying quantities. If you require a size that is not listed, Portland Bolt will manufacture them.